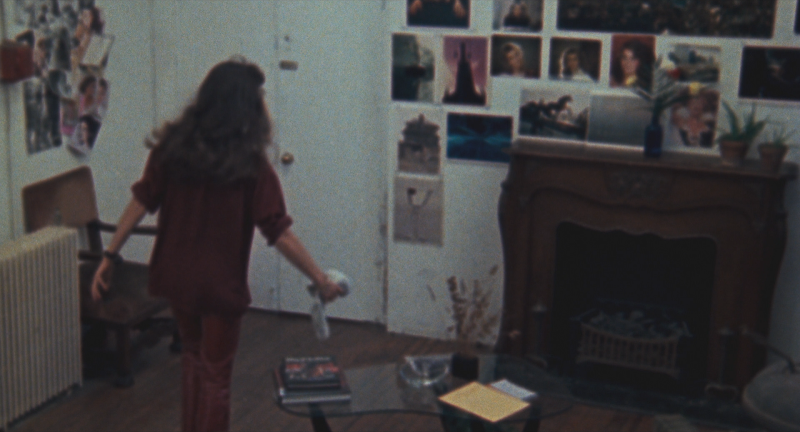 Alright, it's always interesting to see 16mm films brought to HD, and 16mm films don't get much more "interesting" than William Lustig's sleaze classic Maniac. Lustig's been participating in special editions of his horror debut since Elite starting putting it out on laserdisc and DVD in the 90s. 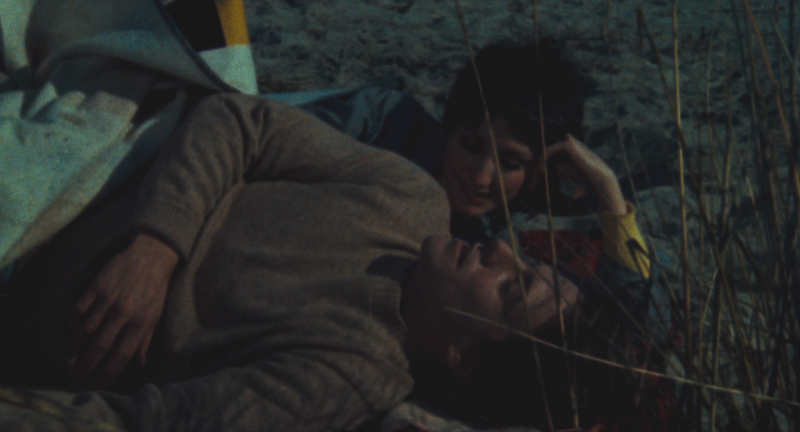 It went to Anchor Bay when Lustig was working with them, and it eventually found its natural home at Blue Underground when Lustig founded that label. More recently, in 2010, BU gave the film its HD debut on blu-ray as a special edition 2-disc 30th Anniversary Edition. And you might notice one more cover up top there; we'll get to that one a little later. Update 5/7/16 - 12/28/18: And now, in 2018, they've released it in an even newer edition, freshly restored in 4k. But in this case, it's even more warranted than other recent 4k re-releases, because Blue Underground has uncovered Maniac's negatives, as opposed to the prints all previous discs have been culled from. So this should be good! 1980 is kind of early to be making big twists to the slasher genre, but that's what Maniac did, effectively turning the genre on its head by telling the film from the perspective of the killer rather than one of the prospective victims. We see the world through his damaged and deranged eyes, where he isn't just a figure of fright but a tragic victim. Which isn't to say that he's terribly empathetic. He's about as creepy and despicable as they come, and so the film is asking to go to some very dark places. 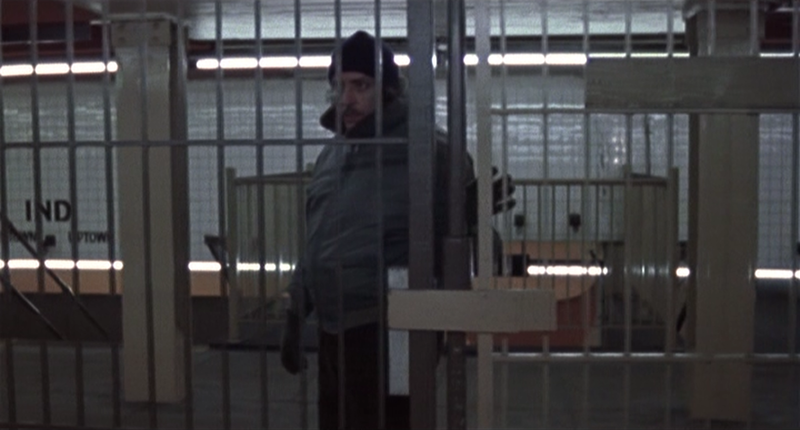 It's pulled off primarily thanks to an incredibly devoted performance by Joe Spinell. This would be an Academy Award winning performance if only it were possible to get Academy members to watch films like Maniac. 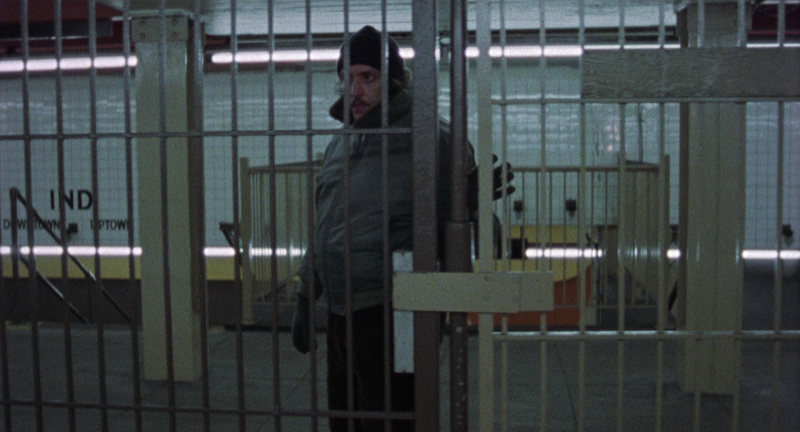 Lustig shines with some impressive set pieces, thanks also to the great Tom Savini, as well as his mastery at capturing the darker sides of New York City, but it's Spinell who really elevates this film. The film takes some unexpected turns, as high end fashion photographer Caroline Munro is inexplicably charmed by our anti-hero, or when the Maniac starts borrowing from Carrie. But at the end of the day, it's the chilling truthful aspects brought to the film that make it truly effective. So I've got Blue Underground's 2007 DVD here to see how it stacks up to their subsequent blu-rays. I've seen this film projected live a couple years ago, and I'm not sure the phrase "golf ball-sized grain" could be considered an exaggeration. So it's always interesting to see the blus bring to the table when there's not really a much more detail to be mined. And then to see, now that we've gone back to the original negatives in 2018, how much that has or hasn't changed. Then, to spice things up a little more, I'm also adding my 2003 DVD from GCTHV, which I originally opted for because it had a unique feature not on any of Elite/ AB/ BU discs. So we'll see how that fits in as well. 2007 US BU DVD on top; 2003 French GCTHV mid; 2010 BU blu-ray bottom. The first thing you'll notice is that Blue's 2010 blu is quite, well, blue. You really notice it in the second set of shots, but it's there in the first and throughout the rest of the film, too. I'm thinking this is more a creative, revisionist decision than coming down to the film elements or anything. But given that a BU transfer is a Lustig transfer, I guess that makes it an inherently director approved decision. If it is, though, it's a decision he reserved in 2018, because the colors are back to naturalistic. In the end, which looks better? Before, I wrote that the ideal was somewhere in the middle; the DVDs (both of them are pretty much the exact same transfer) are a bit red, the old blu's too blue. Just look at the walls in the background; white walls are either pink or blue... not that perfectly true to life white balance has to be a director's vision. But I guess BU must've agreed with me, because this latest version is that happy medium, without the blue overcast or the excessive red. As far as detail? There's not much increase between the DVD and old blu, but it did capture more of the grain. Still ultimately a grimy transfer at its core. Noisy, funky, and sometimes soft. To some degree, that's just the 16mm film itself, but as we see in the 2018 blu, with the OCN on hand, there was a lot more clarity to be mined. 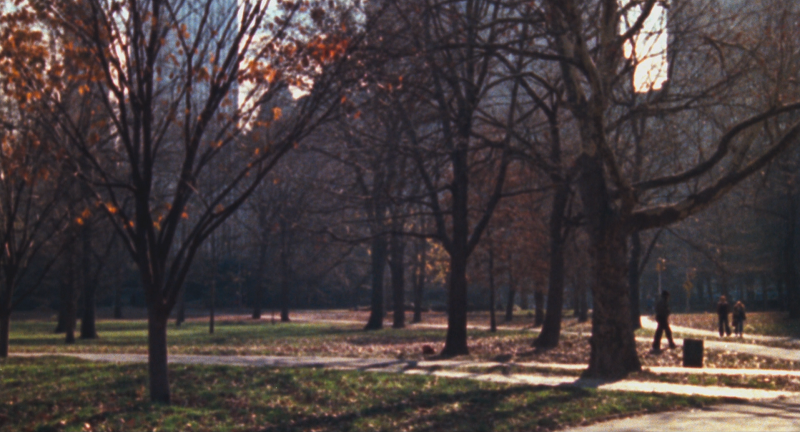 The film is so much clearer, and the grain is both finer and thanks to the 4k, accurately captured. And yes, substantial detail, like the smile of the girls in the photographs on the wall of the first set of shots, as been restored. And look at that framing! While 1.85:1 in every case, the new scan pulls out further revealing substantially more picture, especially in that first set of shots, but throughout the entire film. In short, the jump from 2010 blu to 2018 blu is even more of an upgrade than the initial jump from DVD to blu. Audio-wise, both DVDs featured DTS-ES 6.1, 5.1 EX and Dolby 2.0 Surround tracks. The BU DVD also has French and Spanish dubs plus Spanish subs, and the French disc, naturally, has optional/ removable French subtitles. The 2010 blu has a DTS-HD 7.1 track, and the 5.1 EX, as well as French, German and Italian dubs and subtitles in eight different languages including English HoH. The 2018 blu keeps the 7.1, but swaps out the 5.1 to bring back the 2.0 mix, though now that's in lossless DTS-HD, too. It has all the foreign language options of the previous blu, plus an additional Spanish dub and seven more subtitle languages. So the picture quality may not be so amazing, but if you want extras, oh boy! The Anchor Bay/ Blue Underground discs were already pretty loaded, with an audio commentary featuring Lustig, Savini, editor Lorenzo Marinelli and Luke Walter (a close friend of Spinell who also helped on this picture). It's a really active, informative talk. Then there's a great, 50 minute documentary called The Joe Spinell Story, which covers his career and unique personality really well. And there's a 20-minute vintage radio interview with Lustig, Joe Spinell and Caroline Munro. 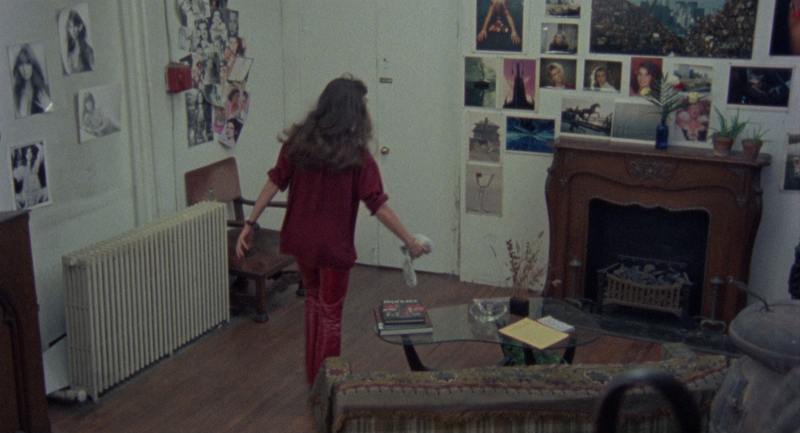 Then there's a bunch of little stuff like stills galleries, an easter egg of William Friedkin mentioning Maniac, and a whole ton of trailers, TV spots and radio spots. The French DVD has all of that (except if it has the easter egg, I can't find it), sticking most of the extras on a second disc. 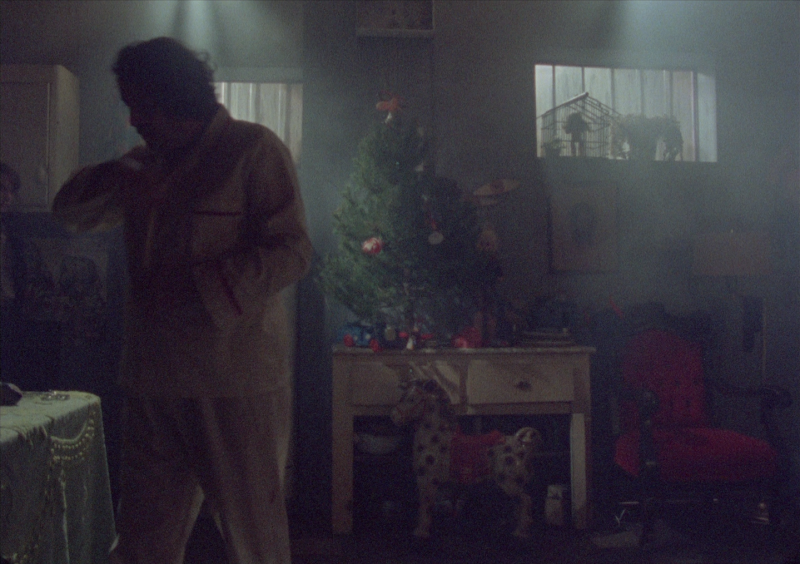 But it also has the Mr Robbie footage, which is a mini-film Spinell shot to raise footage for an unmade Maniac 2. That's been around for a while, dating back to the laserdisc and old Elite DVD, but for some reason none of the AB/ BU DVDs had it. The French DVD also had an exclusive 20-minute interview with Caroline Munro, albeit with burnt in subtitles. Apart from the old radio interview, her voice was always absent from the old DVDs, so it was nice to have this new piece on the French disc. Oh, and they had a 10-minute featurette with a couple critics talking about the film, but that's all in French, so it doesn't help us English speakers at all. But then BU came with their 30th Anniversary release, determined to make a definitive edition. They got all the extras from the past AB/ BU discs, plus Mr. Robbie and a ton of new stuff. They didn't get the French Munro interview, but they got their own, which is every bit as good. They got a new on-camera interview with Tom Savini, an interview with composer Jay Chattaway, and an all-new audio commentary with Lustig and co-producer Andrew Garroni. The new commentary is fairly redundant, but there's some new stuff mixed in there, too. And there's a really unexpected interview with the two guys who wrote the hit song "Maniac," which was made famous in Flashdance. Apparently, it's been rumored that they named the song after this film, so Lustig tracked them down to ask them about it, and it's kinda true. They even perform a special, original version of the song with lyrics about a mad killer, as opposed to dancing! And yes, it's a Christmas film! The second disc, (which is also a blu, also includes a ton of vintage news footage about the film, including reviews and reports on the controversy, as it was often protested by women's groups where ever it played. There's a 48-minute interview with Lustig on a cable access show called Movie Madness, an old TV interview with Munro, Joe Spinell's appearance on The Joe Franklin Show, and a more recent 22-minute Q&A. It's great how much stuff has been preserved and packed onto here. Oh, and the Friedkin easter egg is back, too. And the 2018 blu even piles more on top of that! It has all the 2010 stuff from both discs, plus a couple new featurettes. My favorite has Lustig touring the NY filming locations... wait'll you see how the sleazy hotel has changed! Then, Lustig provides running commentary for almost 20 minutes worth of outtakes which were newly found with the negatives. Some of his commentary repeats anecdotes from other special features, but there's some really neat glimpses behind-the-scenes and at some alternate versions of scenes. This version also includes a soundtrack CD (hence the "3-Disc Limited Edition" banner), a very cool lenticular slipcover, a 20-page booklet with notes by Michael Gingold, another insert for a Maniac comic book and reversible cover art. So the first blu was technically an upgrade, sure, but it was fairly minimal. Casual viewers wouldn't care, and the color timing differences were far more noticeable than any bump in quality. But the extras were another story, giving you everything you could want. Super impressive, at least so long as you bought the original 2-disc set (in 2012, BU issued a cheaper, single disc edition of the blu-ray, which is missing a ton of the great features). But the 4k blu is an upgrade even laymen will appreciate. And they even coughed up a couple more features, plus some sweet packaging enhancements, to make a true ultimate edition. Oh, I suppose there's still the French DVD. It was better than the US DVD at the time, but I really wouldn't recommend double-dipping for it now. The special features here are already loaded up to overkill. You're not going to finish watching it all and be hungry for another interview, especially once it starts to get redundant. I'm such a sucker for this movie that I would probably buy a 4k version if they released it. Gotta love the placebo effect.